Come to our pawn shop today to find out why we’re the Jewelry Buyer Mesa prefers! When it comes to selling jewelry, it seems you have dozens of options these days. 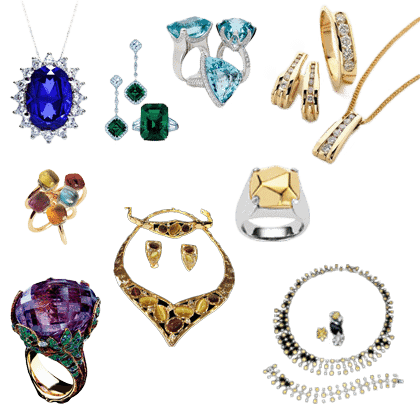 Signs offering to buy your gold and silver jewelry, your diamonds — with so many places to sell jewelry at, it can be difficult to know how or where to get the most cash. At Oro Express Mesa Pawn and Gold, you can rest assured that you’re getting the most cash possible when selling your jewelry. Our employees collectively stout decades of gold, silver, diamond, and platinum jewelry experience. When dealing with the best, you can rest assured that you’re getting not only the fairest cash value for your jewelry, but also the most cash for your jewelry. Why Come to Oro Express Mesa Pawn and Gold to Sell Jewelry? As stated, we employ only the top professionals from Mesa, Tempe, and Chandler. We ensure that our associates are not only properly trained, but have had hands-on experience to support this training. There’s simply no substitute for physical experience when it comes to jewelry buying due to the complexity and large variety of jewelry out there. While anyone can be an expert in silver, gold, or platinum jewelry, true value comes in the form of diamonds. It takes a keen eye, as well as appropriate training. Before stepping foot in our stores, our employees go through a rigorous diamond jewelry course taught by a GIA-certified expert. Our employees are able to accurately measure the 4 C’s (Color, Cut, Clarity, and Carat) of any diamond, no matter if in a piece of jewelry or loose. When we’re confident about the value of your jewelry, we can be confident about the cash selling price of your jewelry. All of our Tempe, Mesa, or Chandler customers can rest assured that they’re getting the most cash possible from Oro Express Mesa Pawn and Gold — the number one jewelry buyer in town. What kind of jewelry do you buy? We’re not Mesa’s top jewelry buyer because we’re picky, we’re the top jewelry buyer because we buy anything and everything! Gold, silver, platinum, and diamond jewelry is all good for cash at our Mesa pawn shop. The value of precious metals has been a constant for the last thousand years, and will continue to be. No matter the quantity or quality, selling gold or silver jewelry has never been easier than now. No matter if you’re from Mesa, Tempe, or Chandler, come to the jewelry buyer everyone trusts. When it comes to gold, silver, or platinum jewelry without precious gems, our valuation process is quick and easy. When you bring your jewelry down to our Mesa pawn shop, one of our associates will take your piece and perform a brief visual inspection. We’re primarily looking for two things: the overall quality of the piece of jewelry, and a stamp indicating purity. These stamps are usually hidden in out of sight places on jewelry like the inside of a ring, or on the clasps of necklaces and earrings. For gold, this stamp can be 10 kt, 14 kt, 18 kt, 20 kt, or 24 kt. These values range from roughly 40% purity to 99.9% purity, obviously affecting the overall value. For silver, there’s primarily only two stamps, but there can be others when it comes to things like Native American Jewelry. These two are 925, or 999 which are 92.5% and 99.9% respectively. To verify these, our associate will perform an acid test on flakes from the piece of jewelry. These are collected using a stone that does no damage to the jewelry whatsoever. The last step is to figure out the weight of the piece of jewelry. All of our prices are based on the gram weight of the item. We update these prices daily, so you can ensure that you’re getting the fair market price every day of the week. Our associate will then make you a cash offer. This is the amount you’ll walk out of our store with cash in. No checks, no cards, no nonsense. When you accept (which you should, nobody pays higher than us for jewelry in Mesa, Tempe, or Chandler) we’ll collect a few signatures and then send you on your way with cold, hard cash in hand. So this procedure is really an extension upon the gold, silver, and platinum jewelry procedure because diamonds are typically embedded in this jewelry. Because diamonds are so complex, it really does take a trained professional to come up with a proper valuation of its worth. There’s a huge number of cuts and colors that diamonds can come in all with varying prices and demand in the resale market. A diamond jewelry buyer needs to have more than just experience with physical diamonds, but experience buying and selling diamonds as well. At Oro Express Mesa Pawn and Gold, all of our associates have been dealing with the buying and selling of diamonds for years. Our Mesa, Tempe, and Chandler residents can always rest assured they’re getting the fair market value for their diamonds. Now, the actual process is fairly quick. Our associate begins by coming up with a value for the precious metal (gold, silver, or platinum) that the diamond is set in, and then will move on to coming up with a separate valuation for the diamond. Our associate is primarily assessing the diamond according to the Four C’s — Cut, Color, Clarity, and Carat. Cut and Color can be determined with the naked eye, however Clarity is where our expert training comes into play. Our associates, using a magnifying glass known as a loupe, analyze the inside of the diamond looking for inclusions and any other imperfections that might exist, if there are any. While the first three are obviously important, the fourth and last C is the most important. Diamond size is measured in Carats, and this obviously has a large impact on its value. Combining all of these metrics, our associate will come up with a value for the diamond. The valuation of the gold, silver, or platinum and diamond is combined to make your cash offer. As the top jewelry buyer in Mesa, Tempe, and Chandler, our customers can be confident that this price is not only fair, but is as high as can possibly be. Should you accept, we’ll collect a few signatures and put cash in your hand right on the spot. No checks, no nonsense, sell jewelry for cash in minutes at Oro Express Mesa Pawn and Gold. So what’re you waiting for? Sell jewelry for cash today. We’re experts no matter what you bring in to our Mesa pawn shop, and are paying the most cash per gram in the Valley of the Sun. We’re happy to help Mesa, Tempe, and Chandler residents evaluate their financial options and get quotes free of charge, so stop on by today even if you’re not ready to sell your jewelry just yet. Diamond Buyer – Here we describe the way we grade diamonds to give you the MOST CASH possible. Gold Buyer – This page talks a bit about what makes us the #1 gold buyer Mesa has to offer! Silver Buyer – Silver is everywhere. This page talks about the kinds of silver we prefer to buy. Proudly serving Mesa, Gilbert, Tempe, and Chandler!